Bloomsbury Publishing PLC, 9781780934204, 288pp. 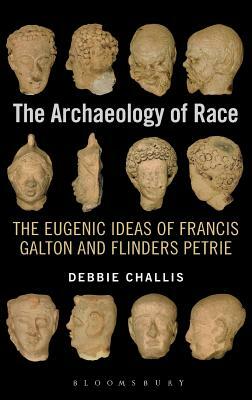 'The Archaeology of Race' looks at how racial and social theory was practically applied by British historians and archaeologists to interpret the past during the late 19th century, particularly through the use of material culture from ancient Egypt and Greece. It specifically focuses on the ideas of Francis Galton and the role of the Egyptologist Flinders Petrie in applying these (and sometimes disagreeing with them) in his work in Egypt, drawing specifically on archives and objects from the Petrie Museum of Egyptian Archaeology and the Galton collection at UCL. Debbie Challis is the Audience Development Officer at the Petrie Museum of Egyptian Archaeology and the author of From the Harpy Tomb to the Wonders of Ephesus (Bloomsbury Academic, 2008).